Uncle Zack may not have given Gal Gadot’s Wonder Woman the most auspicious start in life with an extended cameo appearance in his blaring abomination, Batman vs Superman: Dawn of Justice, but we have high(er) hopes for this stand alone feature. “Power. Grace. Wisdom. Wonder.” states the breathless tagline, as DC make a play for their first non-awful, non-Batman comic book blockbuster. This one, from this first peek, looks at least to have muffled the angular grumbling and solipsistic machismo, and no film can be truly awful that contains scenes set in Paris’ high seat of culture, the Louvre. Director Patty Jenkins will be best known for her award-bothering portrait of Aileen Wuornos, Monster, so fingers and toes crossed that she can drag just a modicum of the intensity from that film across to this one. Wonder Woman hits cinemas on 2 June, 2017. 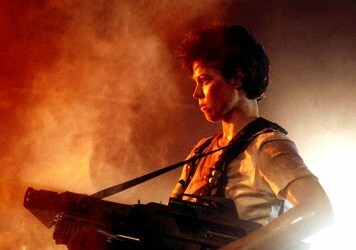 Thirty years on, Sigourney Weaver’s iconic hero stands as a defiant symbol of gender equality. Why is Hollywood keeping its female protagonists a secret? The marketing campaigns for both Batman V Superman and Zootropolis obscured their female characters. 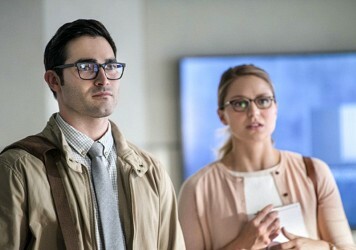 Kal-El’s mild-mannered alter-ego is key to understanding the character.